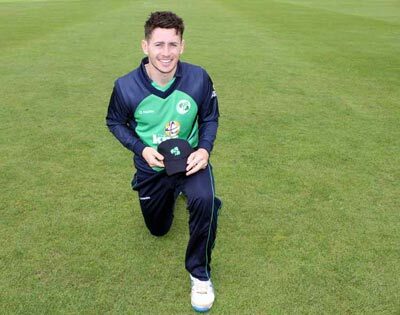 Irish international Sean Terry has been called into the Perth Scorchers squad for their Big Bash clash this weekend against Adelaide Strikers. The 27 year-old has been in scintillating form in Western Australia’s Premier Cricket T20 competition, thumping a match-winning 122 in the preliminary final and following that up with 44* in the final to help guide the Storm to the title. Those displays earned him a spot in the Western Australia Futures League team where he made 74 off just 47 balls to lead WA to victory over Victoria at the WACA Ground. "It's really exciting and definitely not something I was expecting," Terry told CricketEurope. "If I get the chance to play, I'll just look to enjoy it and back myself." Terry, son of England and Hampshire batsman Paul, won six caps for Ireland in 2016, playing in five ODI's and one T20I. He earned international recognition primarily as a result of his 251 not out against Scotland A for Ireland Wolves - the highest score by an Irish player at that level. He played domestically for YMCA before switching to The Hills, as well as Leinster Lightning, before returning to Australia early last summer.